Retired Lt. Gen. Mark P. Hertling knew he “didn’t want to work as a defense contractor” after relinquishing command of U.S. Army Europe and Seventh Army in 2012, but he did want to continue serving the nation. 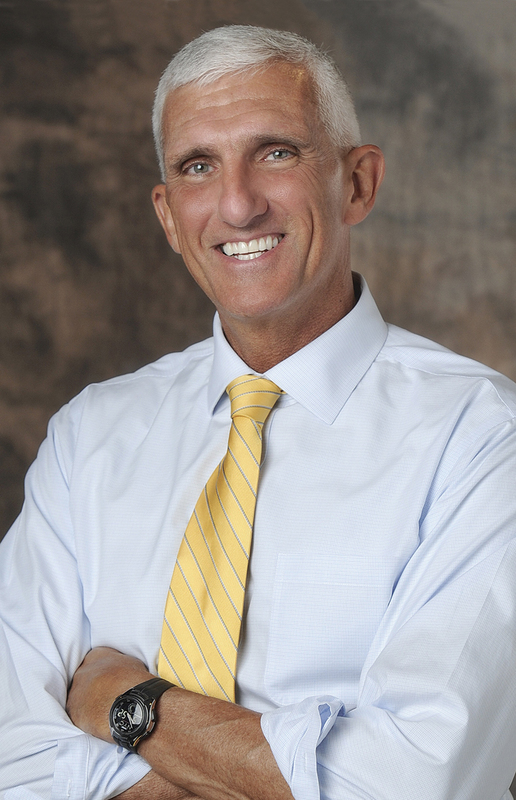 In 2013, he accepted a senior vice president position with Florida Hospital, based in Orlando, and created the hospital’s Physician Leader Development Course. He joined the President’s Council on Fitness, Sports and Nutrition in September 2013. 1. How did you get involved with Florida Hospital? During my last year in command of U.S. Army Europe, I was giving Memorial Day speeches at several battlefield cemeteries, as I did every year, and one of those was Luxembourg American Cemetery in Hamm. By coincidence, the U.S. ambassador was a board member of Florida Hospital, and he introduced me to some of the executives who were visiting at the time. They were looking for someone to lead a new global initiative and asked if I might be interested in the job. 2. Did you have any prior interest in the medical field? I’ve always been impressed with health care professionals, and I have a master’s in exercise physiology, which the Army provided before I taught at West Point. So while I didn’t have any specific interest in the medical field, it turns out that health care is a pretty fascinating profession and a great second career. And there certainly are a lot of challenges. 3. What was your focus after coming on board? Like in any new organization you join in the military, the first things I did were find ways to learn the organization and engage with the people. I talked to the doctors and the nurses, and traveled to the nine different hospitals in our system to see how they conducted operations. It was intimidating at first, but then I realized that there were great people everywhere, and they all wanted to contribute to taking care of others. Health care, like the military, is very selfless in its approach. 4. What was your most notable challenge? After being at the hospital for a few months, the chief medical officer, who I had become friends with, asked me if I could take some of the leadership lessons I had learned in the military and help the doctors become better leaders. After a quick assessment, I told him I thought I could. That was how we started the successful physician leadership course, which is modeled after many of the lessons I learned from the military. Doctors, nurses and administrators all attend the course. I quickly found that most of the things we learn in the military aren’t taught in civilian institutions, and they desperately want to learn how to be better leaders. 5. How did your Army training help you adapt? Coming out of the military, it’s easy to try and fit everything into a military context and say, “Well, this is the way we used to do it.” That doesn’t work. You have to be more nuanced, and more accommodating, when you apply what you’ve learned through a military career to the private sector. But what really works is understanding others’ motivations, applying different influence methods depending on the situation, building teams through consensus, and treating everyone with respect and empathy. Be more than you appear to be. That generates trust with your team, which is key to being a great leader. 6. Were any of the health care professionals former military? Many of the doctors were, and many of the nurses used to be medics and they stayed in health care. It’s amazing how many people have come up to me and told me we had served together someplace in the world. 7. What have you learned from working at the hospital? I’ve learned that doctors, nurses and health care administrators are extremely dedicated and selfless. They are on the front lines, and they really do a phenomenal job in a very tough profession. I also learned they are exceedingly smart in the science of health care, but they all want to improve in the art of leadership. They sometimes need to be forced to see the other person’s position, and they need to talk in language that the common person understands, much like we do in the military. They also spend a significant amount of personal time away from their families. There is a misconception that doctors spend a lot of time on the golf course. … Most are paying back college and medical school loans, and most of them are overworked. They are a lot like soldiers on the front lines.